Tubelight Wednesday (6th Day) Collection Update for Morning Shows. 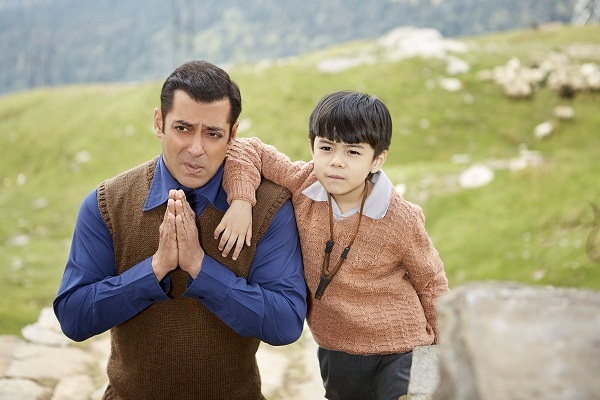 Tubelight has started slowly again on Wednesday (6th day) in Morning shows as early samples are coming in from multiplexes. This is very obvious as film is into proper weekdays now. So, far Tubelight has under-performed. There is no doubt on that. But good part atleast is film has not crashed and also, it is showing decent to good occupancy in Evening and Night shows. Coming to Wednesday, film has opened to 15-20% occupancy in Morning shows. When Morning samples of Wednesday are compared to Tuesday, then there is a drop of about 20%. Drop is significant, but film has chance to recover ground in later half of the day. Although Tubelight has under-performed, it has still chance of recovering some of the lost ground if film trends well from here on. Film second weekend has become even more crucial now. Road is tough ahead, but anything is still possible, considering we actually don't know the real trend of the film. We only know that it has under-performed when compared to last few Salman Khan starrer films. Stay tuned for more updates! If u check today in thane circuit. Many shows are cancled ..especily night shows aftr 10. Yestrdy two shows wer cancles n evn today. My question is wt if ppl wd hav booked in advance..refund milta ya low occupncy mea chalti movie? VERY TRUE, THAT'S WHY HE IS CALLED REAL SULTAN OF BOLLYWOOD. AFTER SO MANY NEGATIVE REVIEWS FILM IS STILL ABOUT TO CROSS 100 CRORE, IT CAN BE DONE BY SALMAN ONLY.